The three members of Ensemble Lunaris met at the famous Maîtrise de Notre-Dame de Paris, where they sing together under the baton of Lionel Sow. Then they study at the National Conservatory of Music and Dance of Paris : Mélusine de Pas in Viola da Gamba class and Eva Zaïcik and Anaïs Bertrand in singing class. 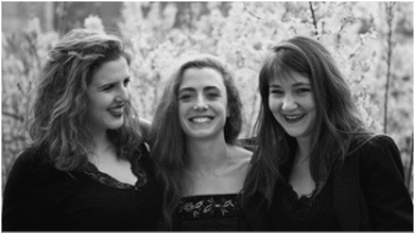 Their atypical group of three voices around a viola da gamba, the friendship that binds them and their common passion for music, led them since 2008 to create original, eclectic and varied programs, from Gregorian to contemporary music. They publish their 1st CD: Exode (s) in 2014. The Consort works closely with the mezzo-soprano Eva Zaïcik. 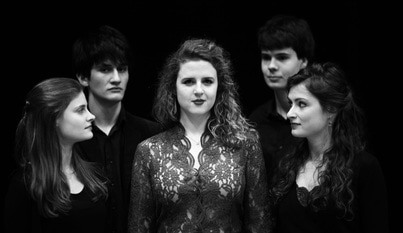 During a residency at the Cité de la Voix in Vézelay, they deepened their approach to eighteenth-century French vocal music. This exciting work on French cantatas will lead to the recording of a first disc for the prestigious Alpha Classics label in february 2019. The ensemble is currently in residence at the Singer-Polignac Foundation in Paris.